The United West produced this short video to underscore two critically important JIHAD points. The terrorist organization, Council on American Islamic Relation (CAIR) is actually the operational base for the Islamic jihad terrorist group, the HAMAS. Therefore, CAIR = HAMAS. Moreover, a Florida CAIR official, Nezar Hamze is now a deputy sheriff with the Broward County Sheriff Department. This is mind-boggling, as the HAMAS now has an operational agent placed within the largest Sheriff’s department in Florida and the third largest in America! Bottom LIne – Reject anything CAIR does or says and petition the United States government to further investigate CAIR, an un-indicted co-conspirator in the largest federal terror funding trial in US history! ACT for America president and founder, Brigitte Gabriel discusses the refugee resettlement crisis that America faces on the Steve Malzberg show with guest host Dennis Michael Lynch. This is definitive proof that there are Terrorist training camps right here in America. This needs to stop. We need the state attorney’s from around the country to stand up to this administration and deem these organizations terrorists as they are. MUSLIM REFUGEES ATTACKING EVERYWHERE IN EUROPE!! NIGEL FARAGE 2015 – SHOCKING, UNSEEN FOOTAGE OF MUSLIM REFUGEES ATTACKING EVERYWHERE IN EUROPE!! The group of Muslims who attempted to establish the first Islamic Sharia court inside the United States in the town of Irving, Texas just received a devastating blow thanks to the town’s mayor standing strong and not backing down. Mayor Beth Van Duyne made a public Facebook post stating that she backs the new Texas law which prohibits any kind of foreign law from being practiced in the state of Texas. After calls, threats and toddler-like demands to apologize from the Muslims who attempted to form the Sharia tribunal along with representatives from the Council on Islamic-American Relations, a known front for the Muslim Brotherhood, the mayor never once backed down. There were a multitude of illegal activities taking place behind the attempted formation of the Sharia court, including the fact that all four of the “voluntary” Sharia lawyers were not licensed to practice law in Texas — that’s a third degree felony. The rules of the Sharia court had different guidelines for women and men, with typical Islamic humiliation tactics to be used against women, which is constitutionally illegal. The Sharia court “lawyers” also conveniently failed to inform the city of Irving that they were operating a court inside of the town — again, illegal. The mayor’s office responded to Zia Sheikh’s public hissy fit with a call for them to follow the Consitution and the American Laws for American Courts bill, which prohibits foreign law from being practiced in the state of Texas. Their response was in typical radical Islamic fashion. “We don’t care about the bill. It’s not going to affect us in any way, shape or form. The bottom line is the foundation of this bill is anti-Islamic,” Sheikh said. The bill makes no specific reference to Islam or Sharia — it merely states that no foreign law is to be practiced in the state. It should also be noted that one of the votes that opposed the bill was from a Muslim council member, who addressed his fellow Muslims in the room before casting his “no” vote in dramatic fashion. We salute Mayor Van Duyne for staying strong in the face of threats and intimidation from the radical Islamic members of the Sharia court. Her efforts to stop this abomination will echo throughout the country, setting precedent for other cities and towns where Muslims attempt to establish footholds. Share this on Facebook and Twitter if you support the mayor’s efforts to put a screeching halt to the formation of illegal Sharia courts in her Texas town. I am often amazed at just how little Christians, particularly pastors, know about Islam–even though it is the fastest growing “religion” in the world. Muslim terrorists murder innocent people and we wonder why. Christian leaders embrace the melding of biblical Christianity with a “religion” that the Bible calls the “spirit of anti-Christ” and it barely makes a ripple. Why are we choosing to remain ignorant of something the Word of God calls the spirit of anti-Christ as it reigns terror on the world? This morning you had your chance to ask Elijah Abraham any question at all about Islam and Muslim terrorism. Abraham is a former Muslim and now born-again believer who trains pastors around the world and joins us for an “electronic town hall” meeting. We can choose to remain in ignorant bliss–or address this issue head on with knowledge, prepared to share the gospel and educate others. The choice is ours! The United states is “in a war with international efforts to create Islamic supremacism,” former House Speaker Newt Gingrich said Friday, pointing out that the battles are world wide and Congress needs to make an authorization for a global fight. “ISIS itself is a term that has very limited meaning,” Gingrich told Fox News’ “America’s Newsroom” host Martha MacCallum, pointing out that there are extremists in the United States as well as overseas. Gingrich said back in 2001, he was at the CIA counterterrorism center where he was being briefed, and at that time, the potential recruiting base was about 3-5 percent of Islam, or about 39-65 million people. “I said ‘and what’s your target set?’ Oh, about 5,000 people in Al-Qaida. Well, if you’re targeting 5,000 but the real recruiting is 65 million, you clearly don’t have the right size strategy, and you don’t have the right size approach,” he recalled saying. Actually, the situation started 36 years ago, with the Iranian hostage crisis of 1979, after which then-President Jimmy Carter suspended all visas for people coming in from Iran, said Gingrich. • Muslim enclaves that are hostile to surrounding communities are springing up across America. Funded by Pakistani radicals, 22 villages in 9 states have been established that are teaching terrorist tactics to members of their compounds. BERLIN (Reuters) – German Vice Chancellor Sigmar Gabriel urged Saudi Arabia on Sunday to stop supporting religious radicals, amid growing concern among some lawmakers in Berlin about the funding of militant mosques by the world’s biggest oil exporter. The unusual criticism of the Gulf state follows a report by Germany’s foreign intelligence agency which suggested that Saudi foreign policy was becoming more “impulsive”. “We need Saudi Arabia to solve the regional conflicts,” Sigmar Gabriel, the head of the Social Democrats (SPD) who share power with conservative Chancellor Angela Merkel, told the mass-circulation newspaper Bild am Sonntag. “But we must at the same time make clear that the time to look away is past. Wahhabi mosques are financed all over the world by Saudi Arabia. 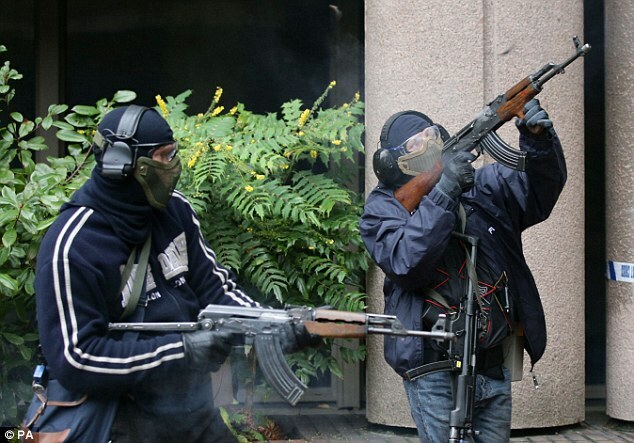 In Germany, many dangerous Islamists come from these communities,” he said. “Like Germany, we are part of the anti-Islamic State coalition and fighting side by side against terror,” it said. The Saudis have cracked down on jihadists at home and cut militant finance streams, but some groups, including Islamic State (IS) and al Qaeda, follow an extreme interpretation of the Salafi branch of Islam of which Wahhabism was the original strain. “We don’t need or want it in Germany,” he told the weekly Welt am Sonntag. “We have sown the seeds of war and it has resulted in terror and refugees,” Aiman Mazyek told the Neue Osnabruecker Zeitung, referring to the war in Iraq which Germany opposed. Experts fear that ISIS will be able to exploit a failure of EU governments to share information on possible terrorists. 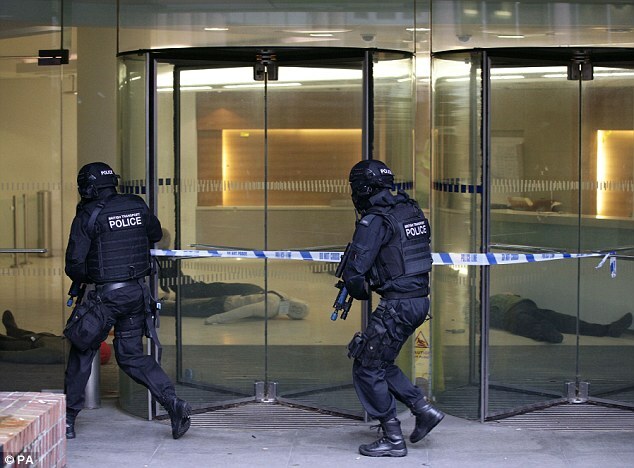 Already, British police forces have been conducting exercises on how to deal with various types of terrorist attack. 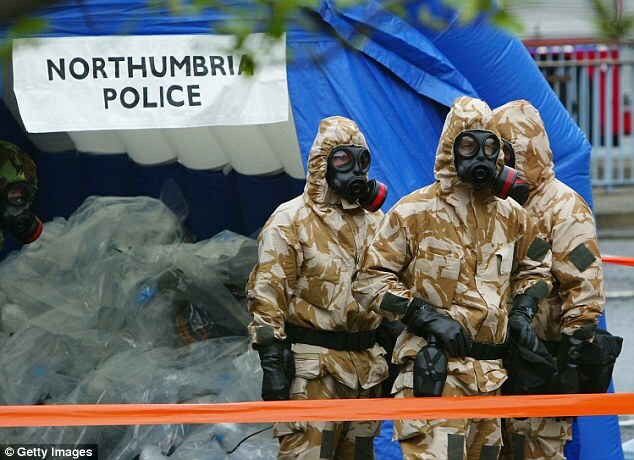 But the EU report claims that government should ‘consider publicly addressing the possibility of terrorist attack using chemical, biological, radiological or even nuclear materials’. Rob Wainwright, head of Europol said after the attacks on Paris: ‘We are dealing with a very serious, well-resourced, determined international terrorist organisation that is now active on the streets of Europe. EU governments have been warned to watch out for ‘other radicalised individuals, who have access to, or work in, sensitive areas’. 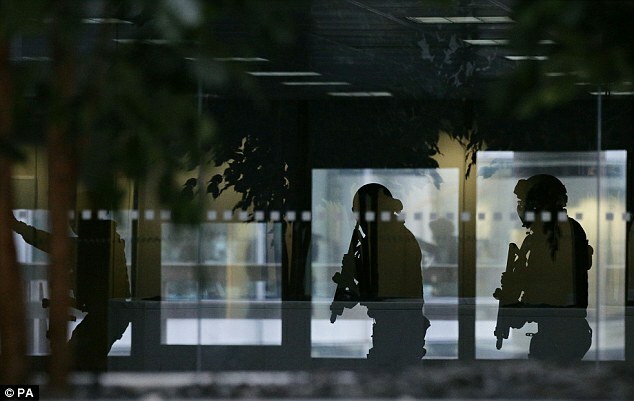 Intelligence services have also been warned to screen returning Jihadi fighters for ‘specialist CBRN knowledge’. The shocking study claims that 150 cases of nuclear or radiological trafficking are reported annually. 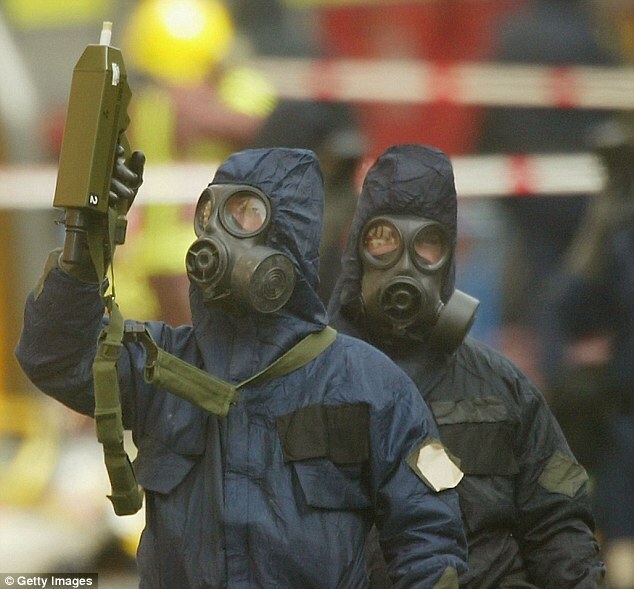 Worse still: ‘CBRN substances have been carried undetected into the European Union. More than 250 individuals from the United States have joined or attempted to join ISIS in Syria and Iraq according to the Final Report of the Task Force on Combating Terrorist and Foreign Fighter Travel published by the U.S. House of Representatives Homeland Security Committee in September 2015. The FBI currently has nearly 1,000 ongoing ISIS probes in the United States, according to a recent report by Judicial Watch. 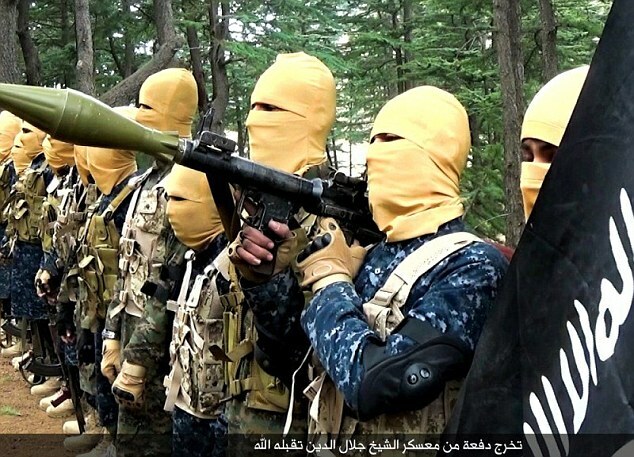 ISIS is recruiting within the U.S. at about three-times the rate of Al Qaeda. Ahmad Musa Jibril, an Arab-American Islamist preacher living in Dearborn, Michigan, had 38,000 Twitter followers before his site went silent. A report by the International Centre for the Study of Radicalisation (ICSR) found that 60% of surveyed foreign fighters in Iraq and Syria followed Jibril on Twitter. What the numbers demonstrate is that ISIS has a significant base of support in the United States, including both those who have already traveled to Iraq and Syria to fight as jihadis, as well as terror suspects who have been interdicted for attempting to travel there, providing support to ISIS in other tangible ways, or attempting attacks. Most importantly, nearly one third of the domestic ISIS cases in the past 18 months involved people who planned to carry out attacks against Americans on U.S. soil. In other words, one third of those interdicted calculated that the best way to serve the new Islamic State and its Caliph, Abu Bakr al Baghdadi, is to wage jihad here on the soil of the infidel. It is also essential to note the number of followers of ISIS propagandists Ali Shukri Amin and Ahmad Musa Jibril, which shows that domestic support for ISIS may reach well into the thousands. With Syrian refugees starting to arrive in the United States, these numbers may further increase.